Moving with your kids is never easy. Not only do you have to deal with everything surrounding the move, like finding movers, finding storage companies NYC and organizing, but you also have to make sure that your child is safe and sound. But, moving can be a valuable learning experience for a child. Depending on how old they are they can contribute to your relocation and make the process much easier. But, more often than not, they will make mistakes and you will have to correct them. So, you better learn how to pack toys for moving so that your child will have something to play with after you move. Before you start packing you will need to prepare for it. Now, when you pack yourself you can simply start doing it and make adjustments as you go along. But, when you move with your kids, you have to be a bit more organized. Packing preparations entail more than simply getting proper packing materials. Yes, you will need to know how to get them. But, you will also need to prepare your kids’ toys and figure out how packing will work. 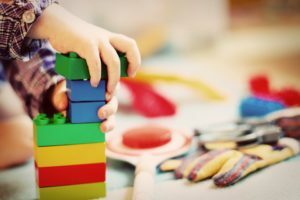 Before you pack toys for moving there are a couple of things that you need to do. The first thing you will need to do is to find moving boxes. Now, you will need to get moving boxes for your relocation, either way, so you better get enough of them to pack toys for moving as well. If you have enough time, you can try to find free moving boxes in NYC. Start off by visiting your local warehouses and stores and asking them to save you some. You should also visit bookstores as they usually have better quality boxes. Just make sure that you do so at least a month before moving day. If that fails, you can always visit your local movers or go to a DIY store. There you will be able to find the exact boxes that will suit your moving situation perfectly. Depending on your kids’ toys, you might need to get some packing supplies. But, before you do, consider using your clothes as wrapping and padding. 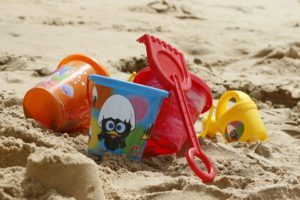 Most kids toys are not that fragile, and your clothes should be more than enough to protect those that are. But, as you are probably moving everything else along with kids toys, you might need some extra packing supplies. You can also get those at your local residential moving companies NYC, or at a DIY store. Try to save good quality ones for the really fragile items, and use clothing to help pack toys for moving. Once you have collected all the packing supplies, it is time to talk with your kids. Now, the content of the talk depends entirely on the age of your kids. If you have small kids that can barely walk, then you should pack toys for them. But, if your kid is a bit older, they might be able to help out with packing. The older they are, the more capable they should be. And, if they are capable of packing themselves, you should let them. Even if they make mistakes and it takes them an absurd amount of time. Tell them what to do, but let them do it. If it doesn’t endanger the rest of the move, let them struggle with it. If you simply pack toys for moving, regardless of the kids’ age, you’ll be doing them a great disservice. One thing that you can and should help them with is the sorting of toys. If they pack all of their toys at once they will not have anything to play with until you unpack. 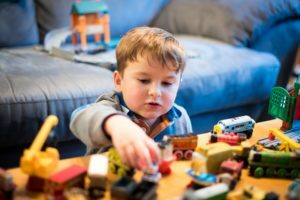 This can cause the child a lot of stress as having a favorite toy nearby helps deal with moving anxiety. Therefore, make sure to help your child pick some toys that you will pack last. These toys will provide child much-needed entertainment. This entertainment will help them survive the moving stress and moving. 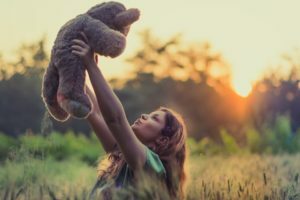 Having a toy close by can tremendously help a child deal with moving-related anxiety. Now that you have everything ready and waiting you can begin to pack toys for moving. If your child is taking too long to do it and is endangering the move, you should jump in. Otherwise, let them deal with it. If they say that they do not want to, make them. This is an important learning experience. If you pack toys for moving instead of them, you will only spoil them. Do them the favor of teaching them hard work. Use moving as a learning experience. But, if the child is too little, you need to pack toys for moving. Most toys are not fragile and you can simply place them in a box. Just make sure that the box is big enough and sturdy enough for the toys. Ideally, you want to place them in a single box so that there is little chance of losing it. If there is a toy that is fragile, wrap it in clothes or a towel and place it with the others. It’s really not hard. Otherwise, we wouldn’t be telling you to make your kids do it. What you must do is to tape up the box and label it. Tape it so that there is no chance of it opening on accident. A smart thing to do is to clean the toys before moving them. Cleaning the toys is something you should be doing regularly. And, moving is the perfect opportunity to give them a nice scrub. Just make sure to use cleaning supplies that are not toxic. Afterward, you can even disinfect toys to make sure that they are really clean. Just make sure to dry them completely before you pack them. Toys can get surprisingly dirty. Make sure to clean them at least once every week.